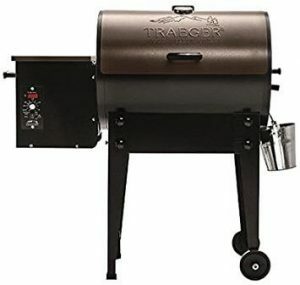 If you decide to purchase a grill after checking out our Traeger grill review, then you’re making a lifetime investment. 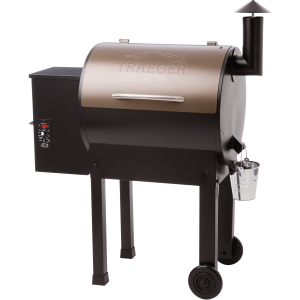 A Traeger grill is made to last so long as you maintain and operate it safely at all times. Furthermore, you must always clean it on a regular basis to eliminate the build up of grease and carbon accumulation. No one wants to taste rancid grease or stale carbon on their majestically cooked steaks, or seafood kebabs. Not even exotic condiments can hide the taste of burnt, stale wooden pellets. Whenever grease burns, it creates acrid smoke, which can ruin your food. Moreover, grease accumulation has been known to cause fires. 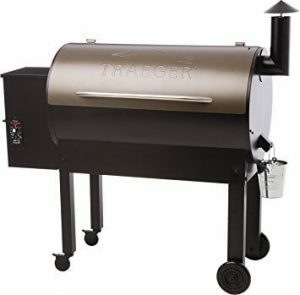 Before you cook, you need to do some cleanup to keep your smoker or grill performing in an excellent condition, to stop off flavors, as well as to prolong the life of your cooker. Then, the device needs maintenance and thorough cleanup. 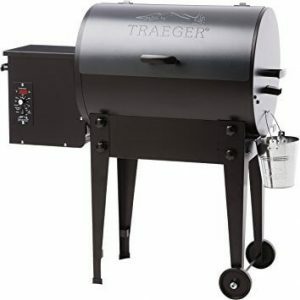 If you always use it, then you need to do a thorough cleaning three or four times a year and before storing it for winter.These tips below will guide you on how to clean a Traeger Grill effectively. SPRAY THE GREASE CATCH BUCKET USING VEGETABLE SPRAY, when you are ready to empty it. Then the drippings will more slide out easily. Take some paper towels so that you can swab down the inside of your bucket. Drain the grease when the weather is hot on a more frequent basis, so it does not turn rancid. Or put in a cottage cheese container and throw it out as required. THE EASIEST METHOD OF CLEANING YOUR PORCELAIN COATED GRIDS is for you to take a piece of aluminum foil and then rub it between and over the grids. It is done best when the cooking grids are warm. Be very careful not to burn yourself! 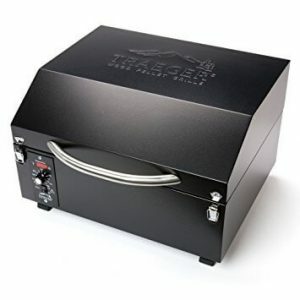 Make use of a long sleeve barbecue mitt so that you can protect your forearm and hand. 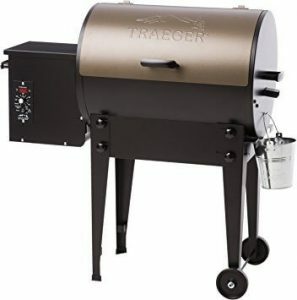 VACUUM CLEAN – Every month, as your grill is cold, just remove your cooking grids, U-shaped firepot cover and angled drip pan and offer your grill an excellent cleaning using a shop-vac. Vacuum out your pellet ash from around and inside the firepot and bottom of your cooking chamber. You can use a vegetable brush to remove built up a scale on the inside of your barbecue. EASIEST METHOD OF DEEP CLEANING THE COOKING GRIDS IS FOR YOU TO PLACE THEM INSIDE THE SELF CLEANING OVEN AND THEN TURN THE KNOB TO START CLEANING. Both the cooking and oven grids will be clean, without using a lot of elbow grease. This is particularly useful if the cooking grids are encrusted with deposits of food. ANOTHER METHOD OF CLEANING the cooking grids is by placing them in an intense yard debris sack, you add one-half cup of ammonia and seal the bag closed. Lay down the cooking grids flat overnight. Remove the grids the next day, thoroughly rinse with hot water and they will be nice and very clean. The ammonia assists to dissolve the grease on the cooking grids. IF YOU ARE HAVING A STAINLESS STEEL GRILL, ALWAYS remember to dust off the grill surface BEFORE you start cooking. You can use a damp cloth to perform this job. If not, the dirt will cook into the metal and just discolor it. 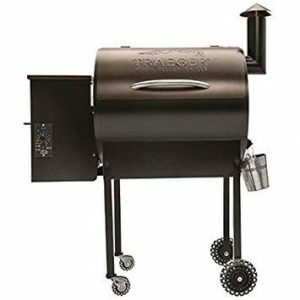 REGULARLY REPLACE THE ALUMINUM FOIL ON THE ANGLED DRIP PAN. Be sure the foil is tightly wrapped around the edges to help in keeping even air flow. 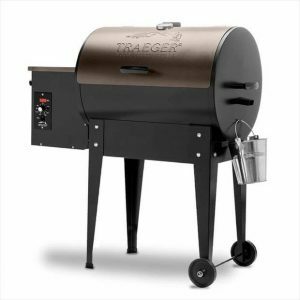 If you follow these tips, you’ll protect your Traeger investment and have many wonderful tailgating parties and Texas barbecues for many years to come. Safe cooking always!